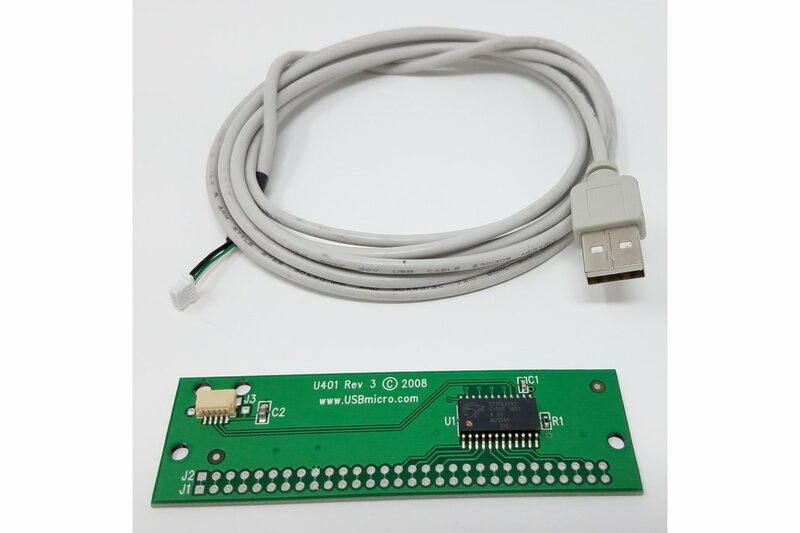 U401 provides a simple digital i/o interface for Win/Linux/Mac. Sixteen i/o lines support SPI, I2C, 1-wire, LCD, stepper commands. 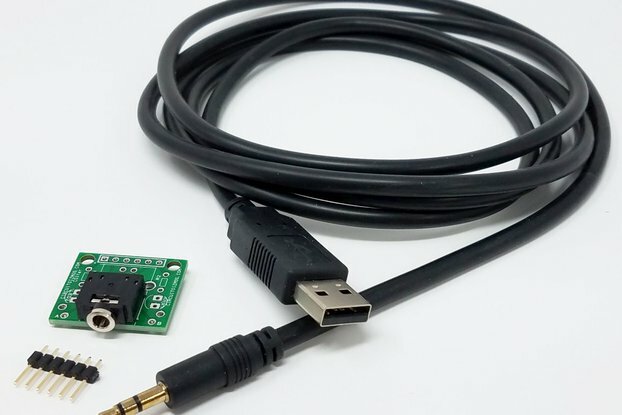 The U401 is a USB solution that is pre-built, pre-programmed, and pre-tested and will get you interfacing your PC (Win⁄Linux) or Mac (OSX) to various devices in very little time! 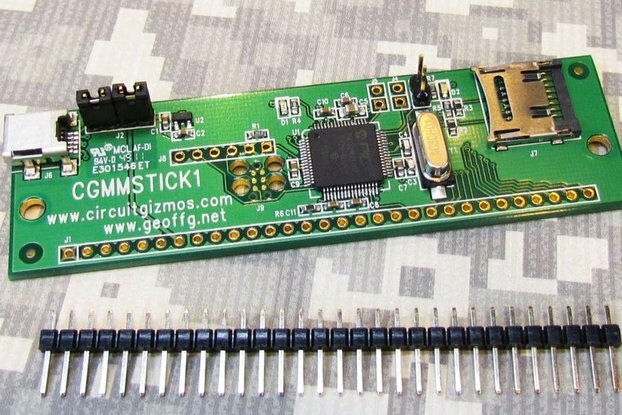 There is no USB device assembly, no driver development, and no firmware to write. In many cases, the U401 can be plugged into an experimenter’s breadboard and circuit interfacing can begin immediately. 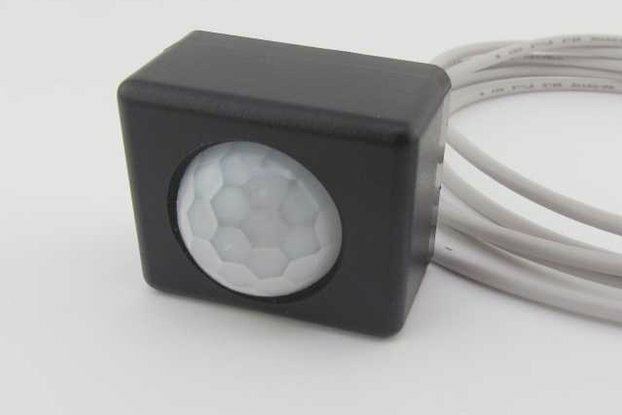 Demo software applications can be used “right out of the box”. 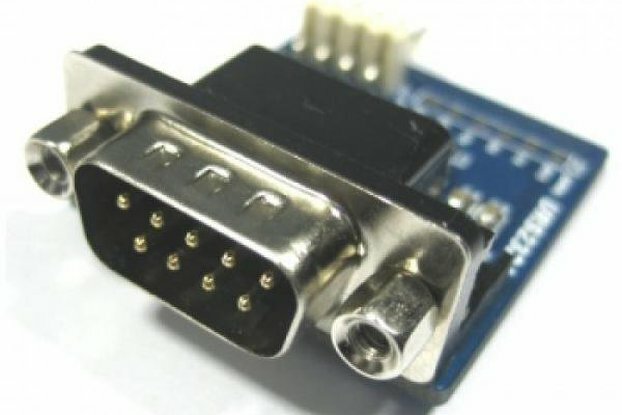 The U401 provides a simple digital i⁄o interface for the PC (Win⁄Linux) or Mac (OSX). Sixteen i⁄o lines from the microcontroller are provided. Commands can be sent to the U401 that change the i⁄o lines from input to output. I⁄O lines can be individually selected as inputs or outputs. 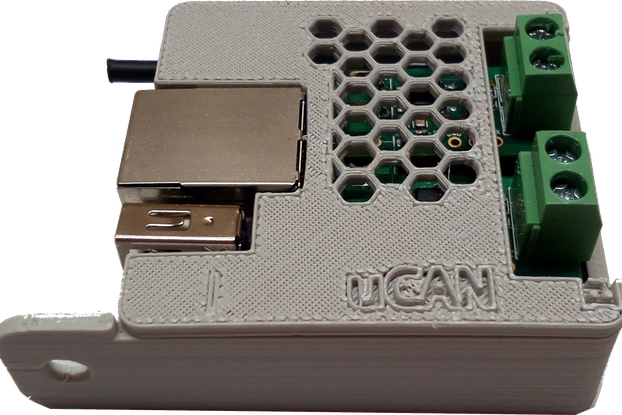 The U401 supports commands to read the ports, and if the ports are set to output, to write to the ports. 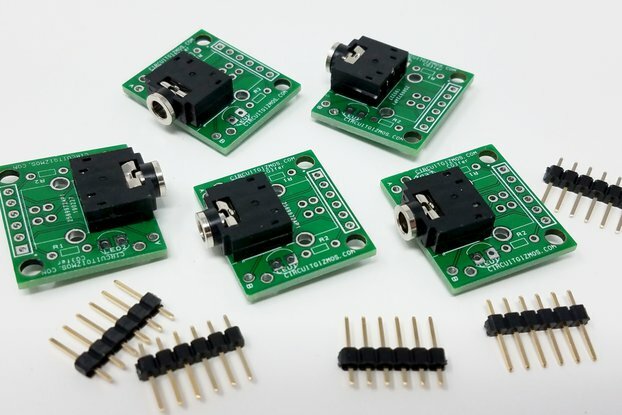 The U401 is an interface to SPI (Serial Peripheral Interface) devices. SPI is a local synchronous serial bus that uses a clock line, two data lines, and a device select line for communication between a serial device and a host microcontroller. 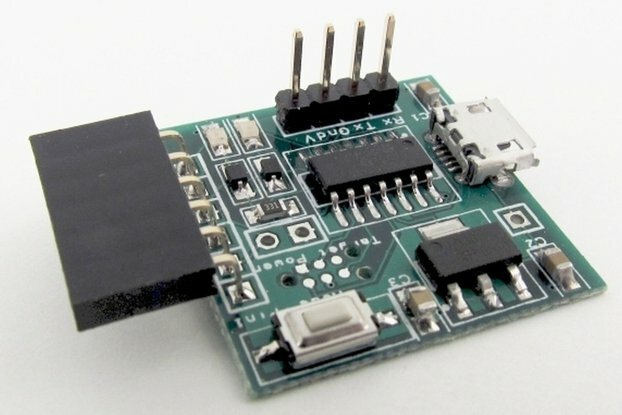 The firmware on the U401 provides generic access for reading and writing SPI devices. 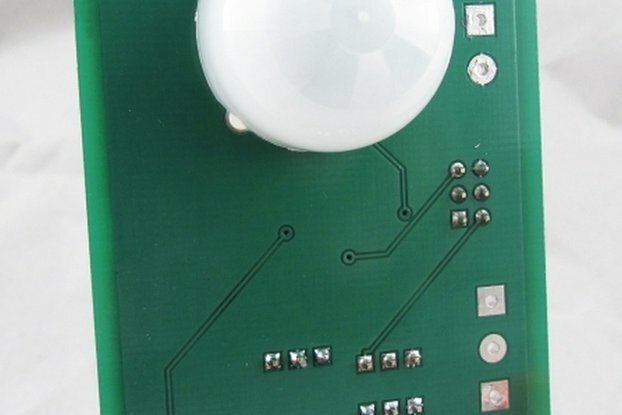 The SPI clock rate can be adjusted to 62.5 kHz, 500 kHz, 1 MHz, or 2 MHz. Because additional pins are available as generic i⁄o, the U401 can use these lines as slave select lines and address multiple SPI devices. The SPI subsystem of the U401 can be used as a master to communicate with SPI devices such as EEPROMS and A⁄D converters. 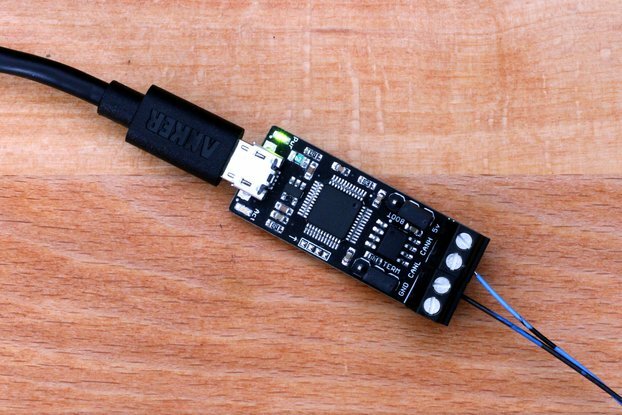 The U401 can also be used as a SPI slave to a microcontroller that uses the U401 as a gateway to the PC (Win⁄Linux) or Mac (OSX). 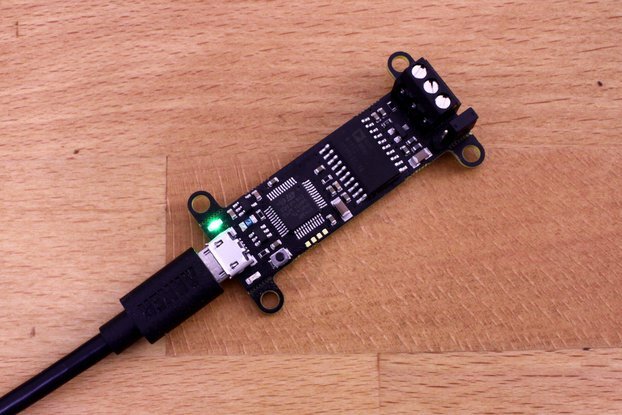 A PIC, for example, can act as a SPI master to communicate data with the U401, which can then transfer the data to a PC (Win⁄Linux) or Mac (OSX) application. 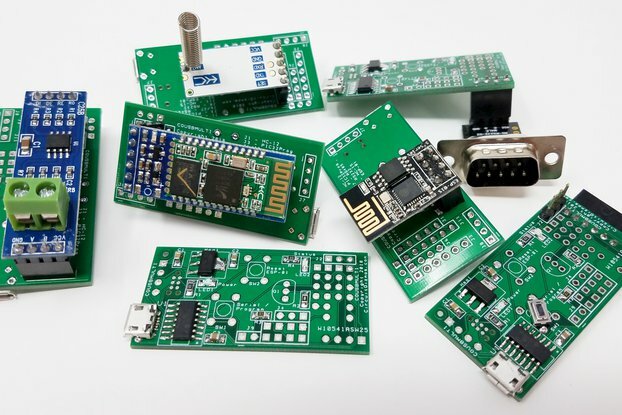 Most microcontrollers can communicate via SPI with software-driven routines, many have internal SPI hardware. SPI hardware is present on microcontrollers from little 8-bit devices, like the PIC, to 32-bit microcontrollers like the 680×0-based devices. 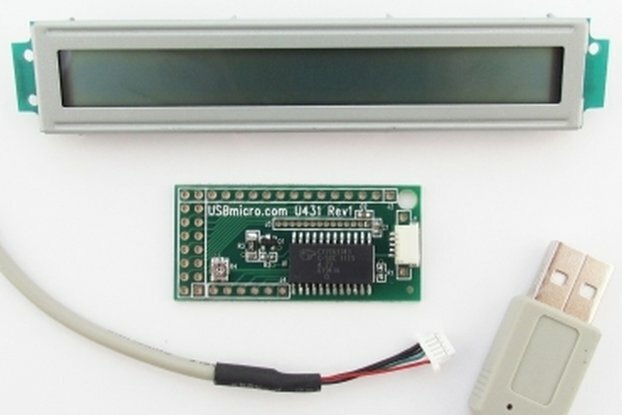 The U401 is a convenient way to interface a standard Hitachi-type of intelligent LCD controller to USB. The commands that support communication to the LCD module are the “standard” LCD commands. Standard commands include writing characters to the display and controlling the display.